As part of Standard Operating Procedure for adoption of Integrity Pact in terms of the Guidelines of the Central Vigilance Commission (CVC), Dr. Satyanarayana Dash, IAS (Retd.) has been appointed as Independent External Monitor (IEM) in NHIDCL on 28.02.2017. Dr. 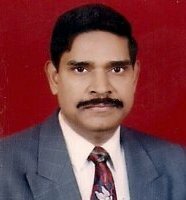 Dash belongs to Kerala Cadre of IAS (1973 Batch) and had retired as Secretary, Department of Heavy Industries, Government of India. He holds a PhD in Economics from Boston University, USA. Dr. Dash has been appointed as IEM in NHIDCL in terms of the Guidelines of CVC vide their Circular No. 10/5/2009 dated 18.05.2009,with the approval of the Central Vigilance Commission and Ministry of Road Transport & Highways. As per the Guidelines of the CVC, the Independent External Monitor (IEM) shall ensure that the Organization is implementing the Integrity Pact prescribed by the Central Vigilance Commission and the Integrity Pact is signed at the time of finalizing all Contractual Agreements above Rs. 100 Crore for Civil Works and Rs.5 Crore for Consultancy Services.